Loves Rubberstamps Blog: Fun Shaker Card! Hello! It's Marcy here and I have a fun and simple shaker card to share with you all today. Shaker cards are so much fun to fill with colorful sequins, glitter and lots of other crafty yumminess! I just can't get enough of them these days! I used some Pink Bazzill polka dot paper to frame my shaker window as well as the base of the card. The background papers used on my card are from an adorable collection called Sweetheart by Doodlebug Design. 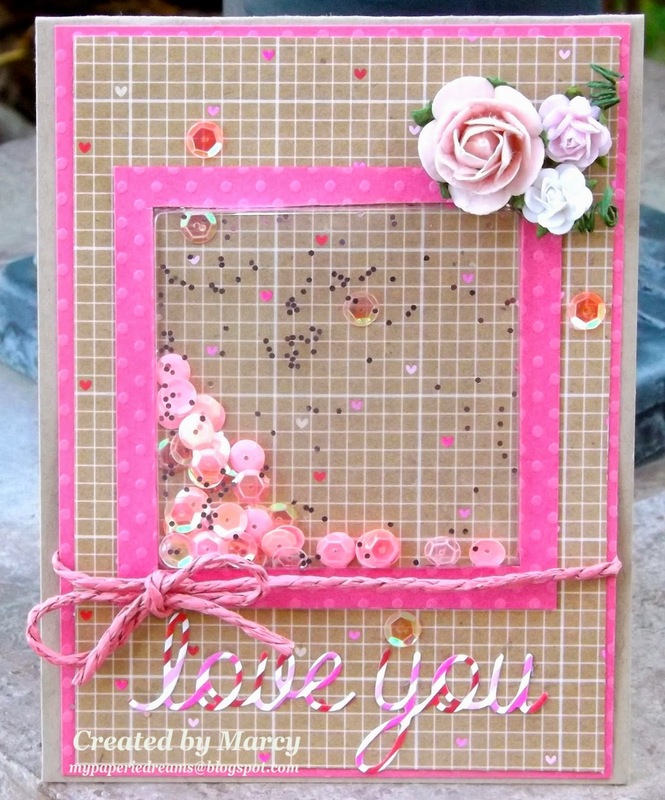 And my sentiment "Love You" was created using the My Favorite Things new DIE-NAMICS set called Love & Adore You Die Set. I've used this DIE-NAMICS set on several of my cards these last few months so I know I've definitely gotten my money's worth! It's just so easy to use and I love the look of a die cut sentiment. To finish off my card, I found some Jute Rope to tie in a bow and some lovely Wild Orchid Crafts roses. Please stop by tomorrow for a new Sensational Sunday Blog Hop and have a wonderful Saturday!!! Oh this is so cute, fabulous shaker card!